An analysis of the coal-based power sector indicated that the industry is all set to avoid complying with the new emission norms. NEW DELHI: At a time when pollution-related deaths in India has seen a 17 per cent increase, most power plants in the country have not even started the planning to meet the strict emission norms that will come into effect from December 2017. An analysis of the coal-based power sector released on Thursday by the Centre for Science and Environment (CSE) indicated that the industry – with active help from the Ministry of Power and the Central Electricity Authority (CEA) – is all set to avoid complying with the new emission norms. 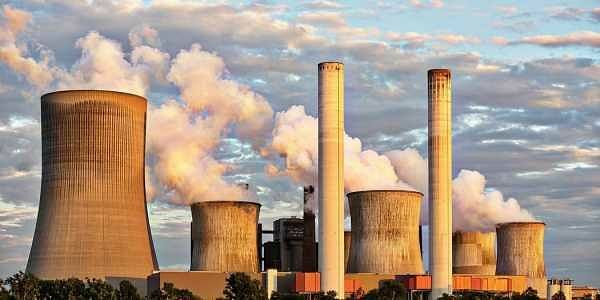 Thermal power plants are one of the biggest polluters in India. Of the total emissions from the industrial sector, the power sector alone contributes 60 per cent PM (particulate matter), 45 per cent SOx (sulphur oxides), 30 per cent NOx (nitrogen oxides) and 80 per cent mercury emissions. These new emission standards were fixed by the Union Ministry of Environment, Forests and Climate Change in December 2015 in view of the sector’s massive contribution to air pollution and huge water withdrawal. The Ministry of Power and the CEA, a statutory body, have consistently tried to push the deadline instead of forcing companies to install pollution control mechanism. They have supported the industry in its stiff opposition to these regulations. The CEA has recommended that deadline be extended to 2022 so that thermal power stations get additional five years to comply. “Another five years to meet these standards is unacceptable. Power plants have already wasted two years doing virtually nothing. It is important to push for ambitious timelines for compliance with the new norms. The environment ministry needs to come up with a tight implementable deadline and a concrete roadmap for each and every plant to ensure compliance,” said Chandra Bhushan, Deputy Director General of CSE. “Implementing the new norms will provide significant environmental benefits -- major pollutants from coal-based power plants such as SOx and NOx will be cut by 70-85 per cent,” he added. The analysis said the CEA’s own reports show that issues raised by the industry such as lack of technology suppliers, suitability of technology for Indian coal, high capital costs and tariff impact of the pollution control technology measures can be easily managed and are not serious impediments. “It is inconceivable why the CEA and the ministry have still done very little to oversee and push implementation of the new norms,” said Priyavrat Bhati, Programme Director-Energy of CSE. A joint report of the Union Ministry of Health and Family Welfare, Indian Council for Medical Research and the Public Health Foundation of India, released a few days ago, revealed that deaths and disabilities due to diseases caused by air pollution across the country had seen a 17 per cent rise.